Get excited for a new music experience and a new way to support The Ally Coalition! 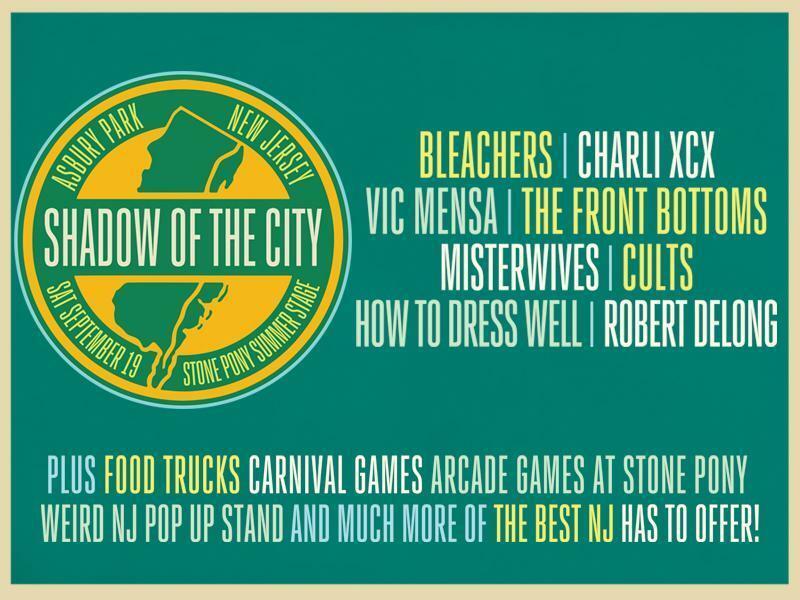 This September we’ll be joining Bleachers, Charli XCX, Vic Mensa, The Front Bottoms and more in Asbury Park’s Stone Pony Summer Stage for the first ever Shadow of the City Festival. It’s one epic day of music, beach, NJ weirdness, food trucks, and arcades to help you wave goodbye to summer in style. We’ll be there with volunteers and to help connect you to LGBTQ youth supporting organizations. And, if you’re feeling sporty, we’re selling tickets to the Dunk Tank so you can take a shot at Rick, Rachel, and Jack Antonoff!